A post about public reputation on iBenedictine's blog yesterday got me thinking about how easily someone's good name may be destroyed by unfounded rumours or distorted facts. 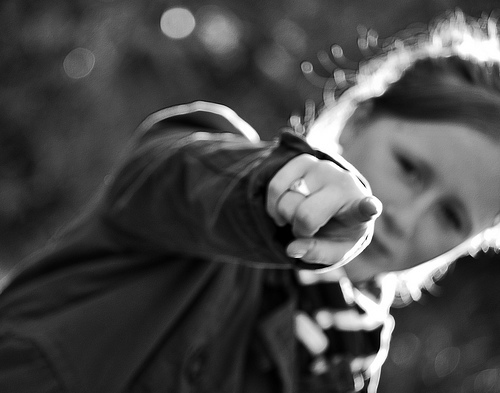 Here's 5 ways to destroy someone's reputation:Believe what you're told without questioning who's saying it, why and on what evidence.Pass on what you've heard 'in confidence' to a few people.Add a few thoughts from your own ignorance, prejudices, jealousies etc.Use social media to pass on rumours or allegations: tweet, retweet, post on Facebook, blog etc.Do nothing to challenge what others are saying when you know the truth is being distorted. 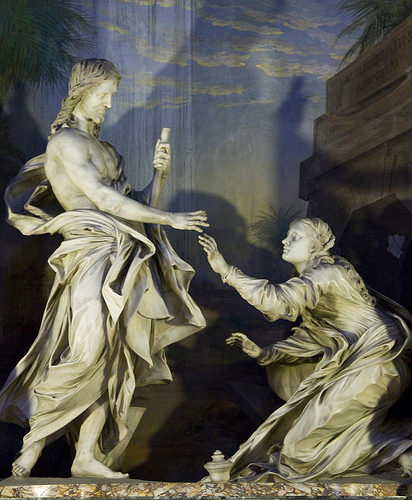 Today is her feast day, so here is a photo of a statue showing the risen Christ encountering Mary Magdalene in a garden near the tomb where he was buried. The statue is in the Angelicum Chapel in Rome, the church of San Sisto and San Domenica. Mary Magdalene has been the subject of so much speculation, denigration, imagination and admiration over the last 2000 years, it's hard to sort truth from fiction. The gospel stories about Mary and Martha of Bethany are among my favourites. Each time I read them I notice something different. I'd love to meet those real women, not the ones presented in medieval art or countless sermons. 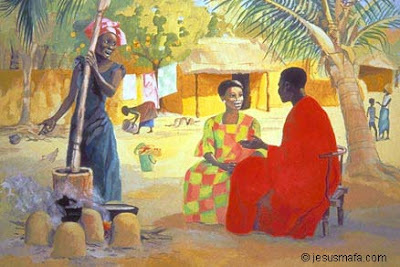 One of the stories (Luke 10: 38 - 42)about Mary and Martha will be read in churches all over the world tomorrow. Some preachers will be saying, 'not Mary and Martha again!' It can be a challenge to find something new to say about that story. And an even bigger challenge not to fall into some of the theological and political traps for the unwary. It's easy to forget that this story is not a parable, but is about real women who love Jesus and struggle to find their role and true voices in a patriarchal society.